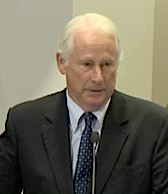 John Patterson, a partner in the Shutts & Bowen law firm in Sarasota, pointed out that the applicants for the rezoning petition realized they could not meet the requirements of the county’s Zoning Code in an earlier effort to get the Casey Key property rezoned to a different designation. Therefore, Patterson continued, they chose to seek another designation that they felt would meet the guidelines of the county’s Comprehensive Plan regarding density on barrier islands. That second initiative — which the County Commission was considering during an April 13 public hearing — made him think of the title of a 1974 Steely Dan album, Pretzel Logic, Patterson said. 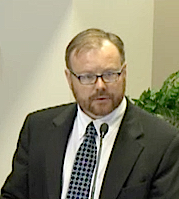 “We’ve had an employment of pretzel logic to get you to this consistency [with the Comprehensive Plan] that is claimed by this petitioner here,” Patterson added. 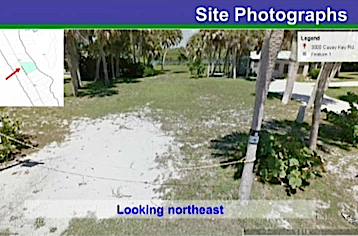 Hines seconded a motion by Commissioner Carolyn Mason to deny the petition by CK Gulf to Bay LLC — whose managing member is John Eldred of Holland, OH — for the county to rezone approximately 1.13 acres at 3000 Casey Key Road in Nokomis from RE-2 (Residential Estate, 1 unit per acre) to RSF-1 (Residential, Single-Family, 2.5 units per acre) with stipulations. Both county Planner Jason Utley and Michael J. Furen — chair of the board of the Icard Merrill law firm in Sarasota, who was representing Eldred and Eldred’s wife, Margaret — explained that the couple wanted to demolish three existing buildings on the original parcel that date to the 1930s. 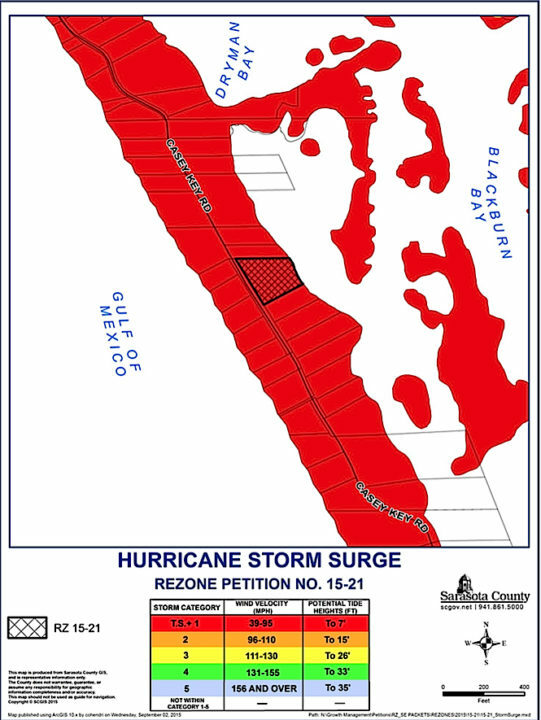 Furen argued that the rezoning would end up with less density on the barrier island. The Sarasota County Planning Commission voted 4-3 on March 3 to deny the petition, Mason pointed out in making the motion. She concurred with that board’s findings, she said, adding that she recognizes the fragility of the county’s barrier islands. The other commissioners joined Mason and Hines, making the decision unanimous. Several speakers who offered comments during the public hearing represented the Casey Key Association. Both that organization and the Siesta Key Association opposed the Eldreds’ request. 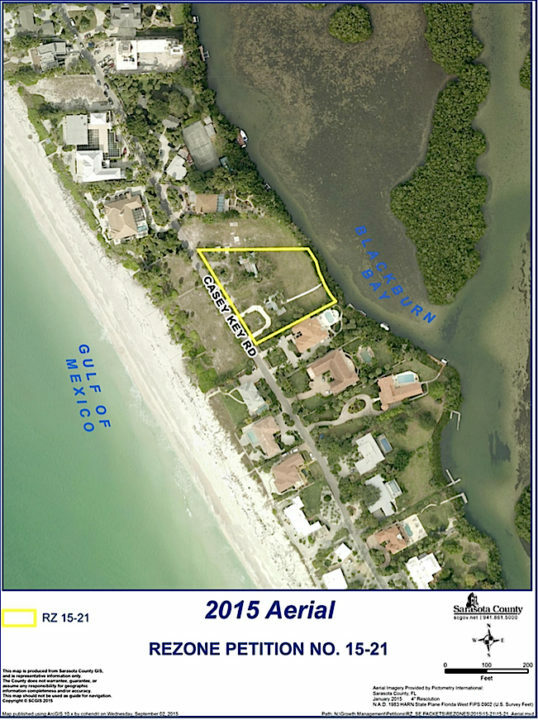 The property at 3000 Casey Key Road would not be divided into more than two lots. Each of those new parcels would have more than 24,000 square feet, Furen told the County Commission. The resulting lots would comply with the maximum density, minimum lot area, minimum lot width, maximum building coverage and maximum height requirements of the RE-3 zone. The density of the property would be reduced from three units to a maximum of two. The three existing, non-conforming houses would be demolished or removed prior to the issuance of a building permit for new construction on the site. In response to a question from Hines, Zoning Administrator Donna Thompson said that the Zoning Code would allow only one new structure to be built on the site under the current zoning designation if the three existing buildings were demolished. County property records show that CK Gulf to Bay bought the property in May 2013 for $1,650,000. In 2015 the county Property Appraiser’s Office set the just value of the parcel at $1,451,800. 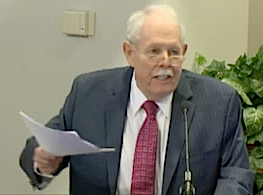 When he addressed the board, Furen explained that he had sought comments from both Allen Parsons, the county’s Planning Division manager, and Deputy County Attorney Alan Roddy about whether the proposed rezoning would comply with the county’s Comprehensive Plan. However, Parsons pointed out that the County Commission ultimately would decide whether the rezoning is consistent with the Comprehensive Plan. Among those who joined Patterson in opposing the rezoning, Dale Thomas told the board he lived for about 15 years in one of the structures at 3000 Casey Key Road. What they are, he pointed out, are kit houses from Sears, which were assembled on concrete blocks on the site in the 1930s. One is the main home, he said, while the other two are guest cottages. 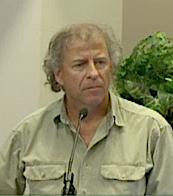 Art Wood, president of the Casey Key Association, told the County Commission that his board was unanimous in opposing the petition, while Constance Davis, vice president of the association, noted that its board members “typically don’t like to go against” the island’s residents’ development plans. This case, however, she continued, represented “a serious enough risk to the key” that they chose to do so. In a letter to the county board dated April 12, Michael Shay, president of the Siesta Key Association, pointed out that his organization supported the Casey Key Association’s request for the denial of the petition. In response to a question from board Chair Al Maio, Zoning Administrator Thompson reiterated that if the property zoning was not changed, the owners could construct only one new building if the three existing structures were demolished. No guesthouse would be permitted, she added. When Maio asked for a motion, a couple of moments passed before Mason finally spoke. In seconding her motion to deny the rezoning, Commissioner Hines told his colleagues, “This is tough,” as the Eldreds wanted to replace three buildings with two, albeit through the division of the property. With no other comments, the motion passed 5-0.